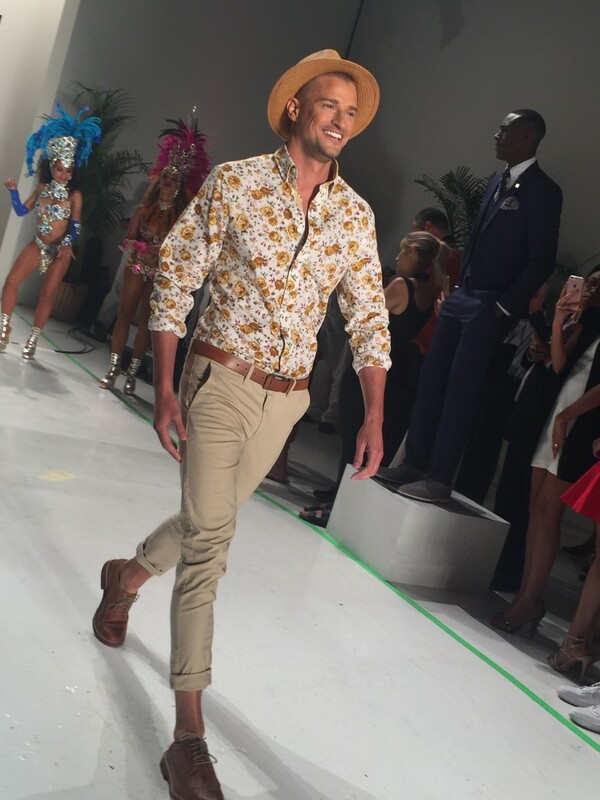 Hey guys, cue the salsa music, shake a leg and get ready to cut a sisal rug for Spring Summer 2017 (or today, since it’s going to be HOT AS HELL again). 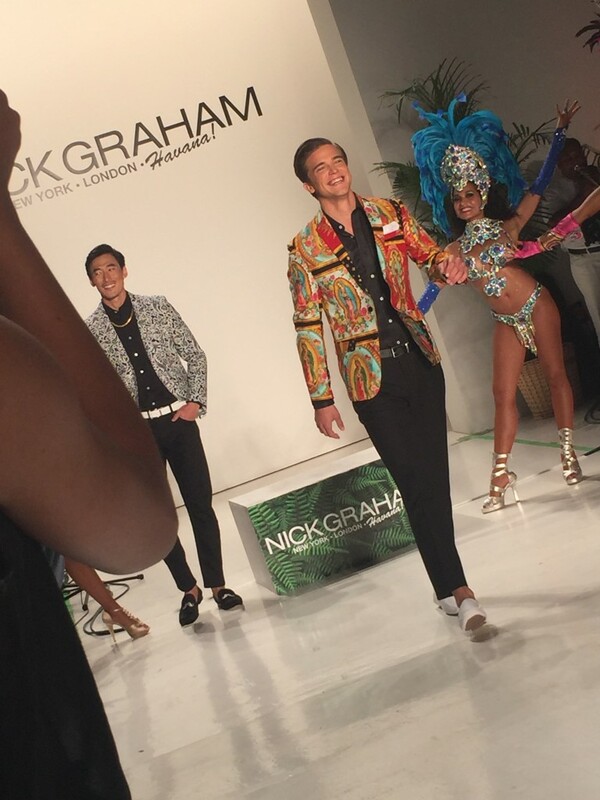 At least you’ll have great fashion for it, considering last month’s NYFW:Men’s shows, in particular Nick Graham’s. 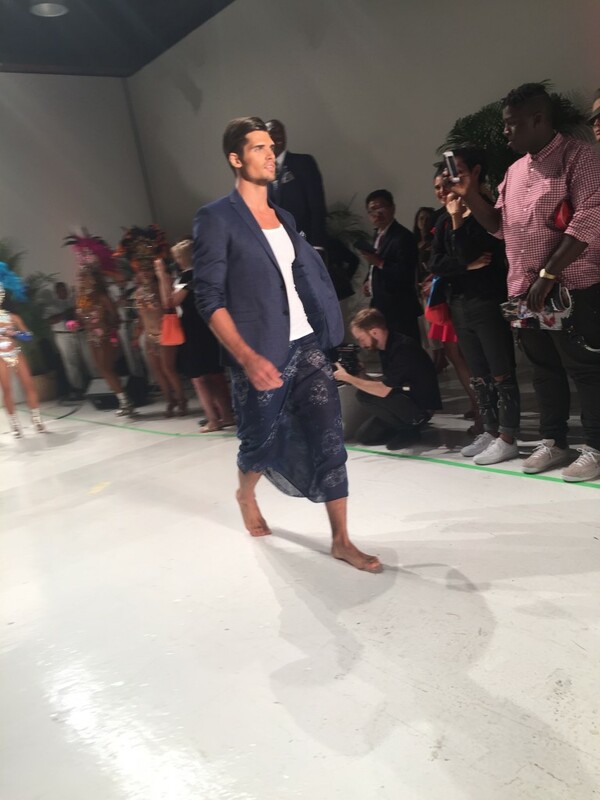 Nick put his passport on the table and transported his men to Cuba for Spring/Summer 2017 last month at NYFW: Men’s, taking his “Post Prep” design theme “Post Revolutionary” with his “Our Men in Havana” collection. 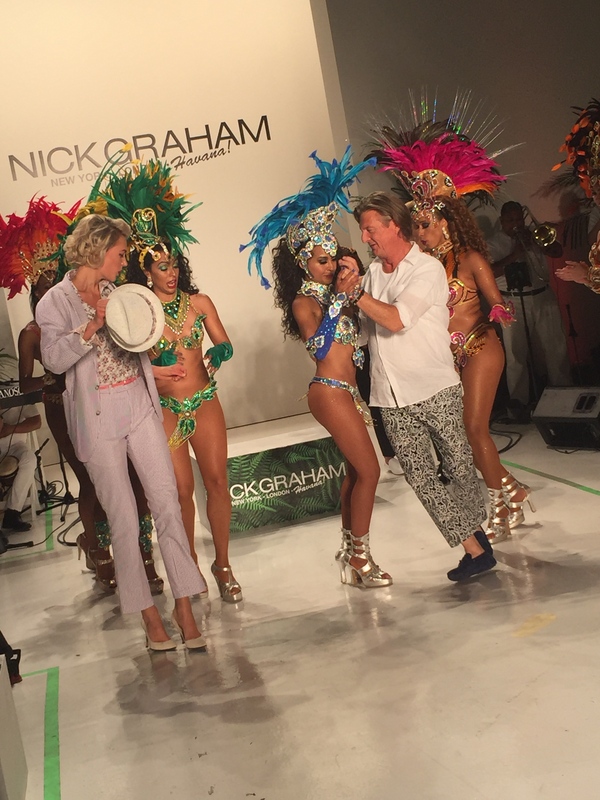 And, as with all Nick Graham shows, his runway presentation —part Tropicana floorshow, part Cuban dance party with live, hip-swiveling music and fancy showgirls to boot — focused on hysterically fun, iconoclastic and exuberant renditions of fashion for guys. 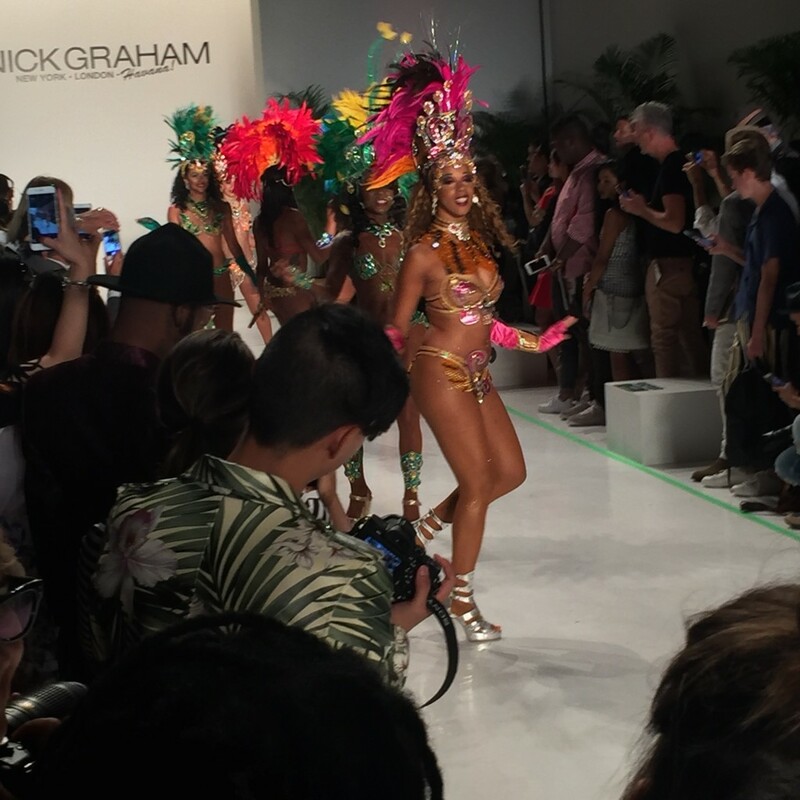 Nick Graham clothes are wearable, understandable, affordable basics with just the right amount of tropical twist — real clothes with great style that any guy could and would want to wear. 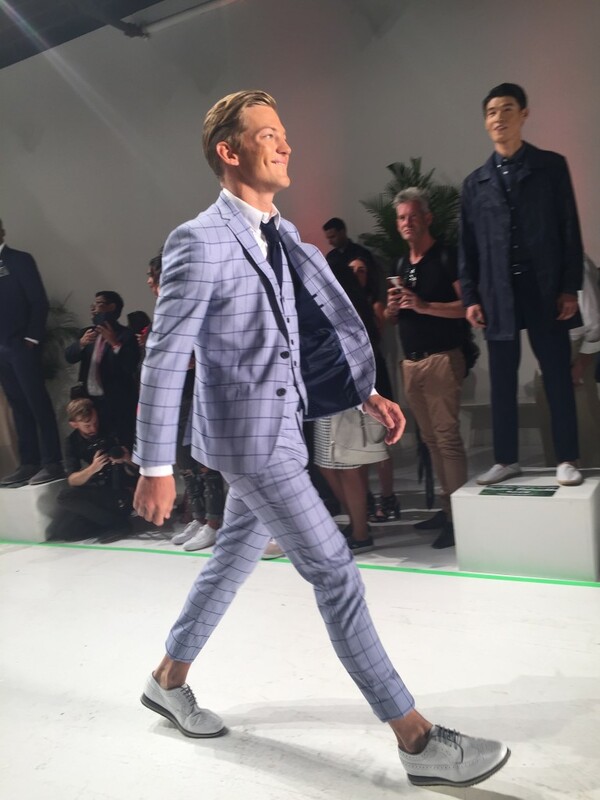 Lightweight versions of seersucker suits, next-level variations of Liberty of London-like and Aho print shirts, crisp cropped trousers and skull-print pareos worn with softly tailored jackets ensure that Nick’s men in Havana could step out of the plane, off the curb in any country and be comfortable no matter where they land. Happy to see Nick finally “in” Havana! Next post I’ll fill you in on that time I went to Cuba to location scout a runway show for him like the one he did in Reykjavik, Iceland years ago…. This entry was posted in fashion and tagged menswear, Nick Graham, SpringSummer 2017 by kim cihlar. Bookmark the permalink.